The beautiful sea town of Piombino lies right in front of the island of Elba, on the border between the Ligurian and the Tyrrhenian seas. The ancient historical centre descends from when it was a very important Etruscan port, as it also was during the Republic of Pisa in the 1100s. Walking around town one can admire the many architectural testimonies, vestiges of centuries of story. The most ancient monument is the ‘Torrione’, built in 1212, the main tower-gate. 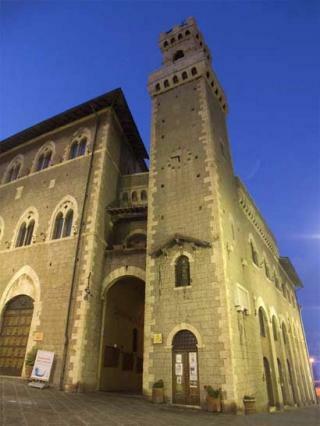 Other 13th century witnesses are the Romanesque Chiesa della Misercordia and the House of the Mullioned Windows, today seat of the historical archives. Proceeding through the centuries and along the streets one can see the semicircular ‘Rivellino’, annexed to the Torrione for further defence, the Pisane-Gothic co-Cathedral of Sant’Antimo, the Castle known as the Cassero Pisano, the Citadel’s Cistern, the Chapel of St. Anne with the annexed tower and the imposing town hall of Palazzo dei Priori. Furthermore outside the town, in the surroundings, are many nature reserves and archaeological sites such as the Etruscan necropolis of Populonia and that of Baratti. 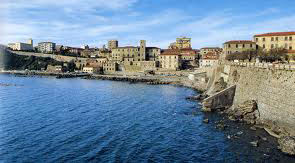 Not to talk about the beautiful beaches along the coast, the Etruscan Coast in fact, where to spend lazy holidays. In addition the town organizes many interesting events. At the moment in full swing is the “Masked Bacchus” Piombino’s way to celebrate the carnival season adding the wine! The event intends to combine the traditional town carnival with the promotion of the local wine and products. So, for the whole month not only floats and masks but also wine and food stalls, as well as the re-enactment of how tables were laid during the Etruscan ages. Tuscany Holiday Rent offers a wide selection of holiday accommodations on the Etruscan Coast.